I quite like doing these 'new additions' posts as it makes me evaluate what new things I am using and give my initial impressions. Here is my new additions post number three with a sneaky rediscovery thrown in at the end! I was genuinely sad to finish up my Elemental Herbology moisture milk moisturiser but this Caudalie one is quite a nice (and cheaper) alternative. The Elemental Herbology had a runny gel like texture whereas this is more cream based-it's described as a sorbet but I would say its a light (almost fluffy??) but dense cream. 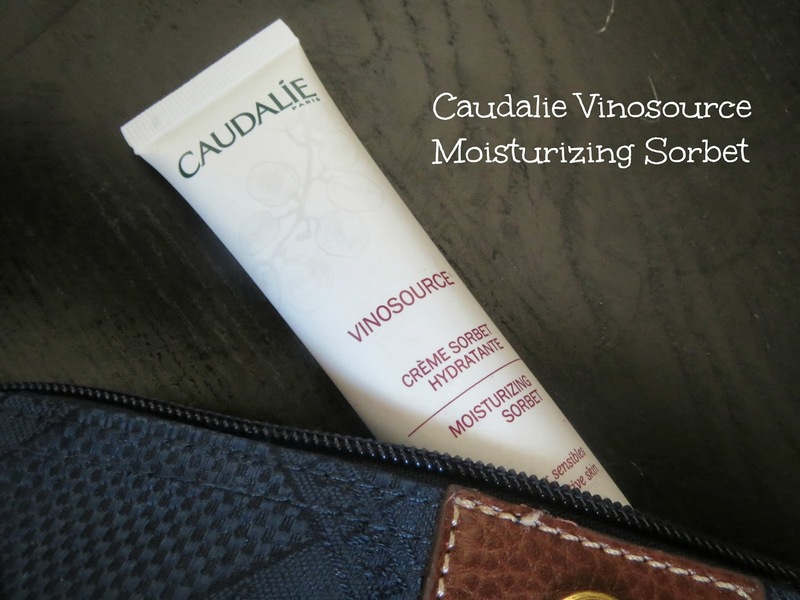 It contains grape water and chamomile making it suitable for sensitive skin and I find it nourishing without being heavy. The squeezy tube makes it easy to dispense the amount you need without wastage as well. 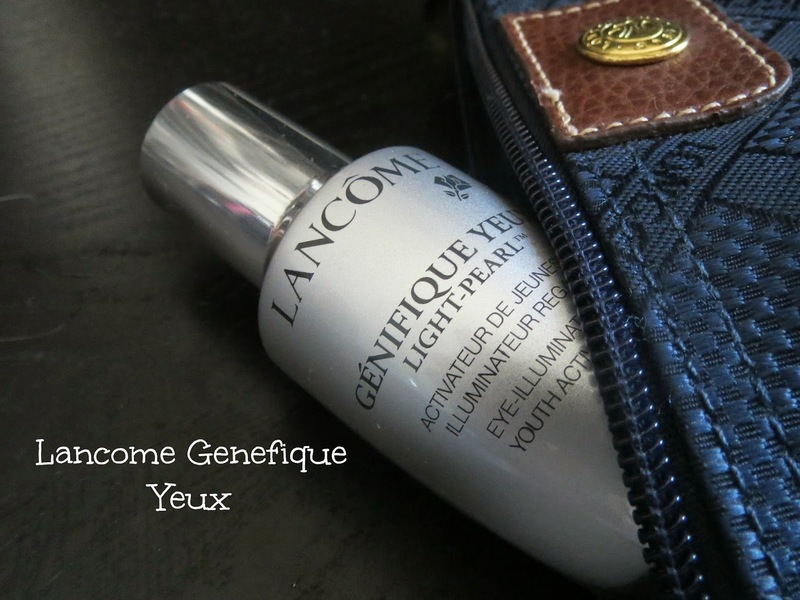 Lancome Genefique Light Pearl is 'an eye illuminating youth activating concentrate' and as soon as this was launched I picked it up in duty free but have only just got round to using it. It's not an eye cream, it's a serum and is therefore quite runny. It has a unique and unusual 360 degree revolving ball applicator which you use to apply it to your skin and massage the product in. Lancome has a video for you to watch on how to apply it correctly. I had to watch it twice. I have to say, I'm not blown away. Without doubt you get lots of product but it is a faff to apply and takes ages to dry. I also think the 'rotating ball' applicator picks up too much product so I do feel like I am using too much and overloading the eye area. I'd love to hear anyone else's opinion of this but I have been using it for 4 weeks now and not seen any particular eye illuminating improvement. 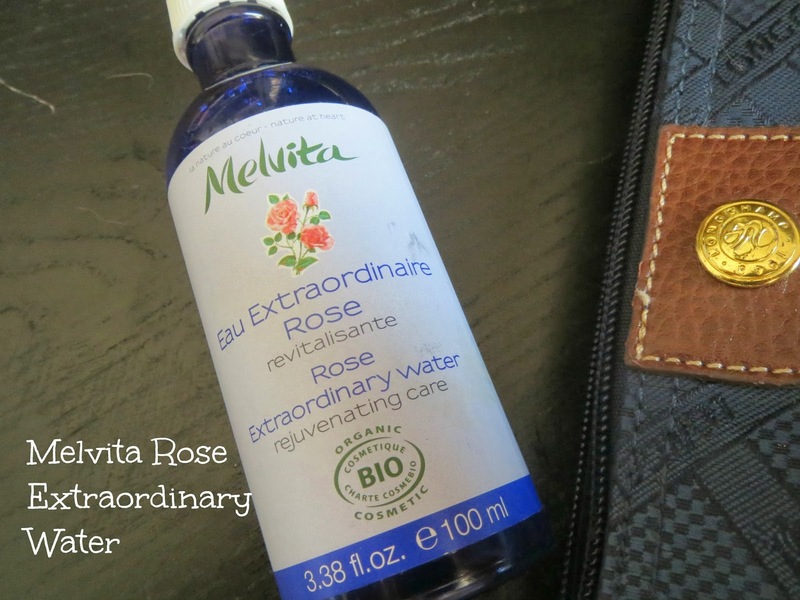 I bought the Melvita Rose Extraordinary Water from Harvey Nic's Beauty Mart and have been using it as my 'hydrating toner' for the past week or so since my lovely Elemis Apricot Soothing Toner finished up. The texture is that of a thick runny gel which is a change from spritzing my face with the Elemis toner and I apply it to a cotton pad then swipe over my face. Probably too early to form an opinion yet but I have notice my skin is SO soft after using it and it dries really fast. I actually thought this was quite a 'cheap' toner, I was sure it cost around the £8 mark but the label is still on it and it's actually £14 so more expensive than I initially thought. This is the first Melvita product I have used and my interest in it was sparked by Rebecca at Be Beautiful who gave the orange version of this a glowing review. It contains hyaluronic acid which is a key ingredient I look for in a hydrating toner and now that my Hydraluron has run out this will go some way to adding the moisture back into my skin after cleansing. 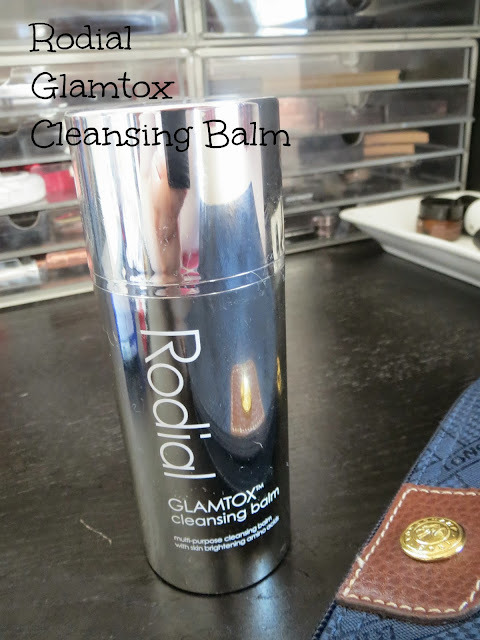 You may have seen me talk about this cleansing balm before. After receiving two very generous samples from Space NK with a GWP I really fell in love with it and purchased the (hideously expensive) full size. The packaging is gorgeous but it's the contents that really matter and this light cleansing balm is super effective. First off, if you struggle to use cleansing balms because of break outs caused by Shea Butter or Beeswax, this cleansing balm doesnt contain either. It's much lighter in texture than the Emma Hardie and the Elemis balms I have been using recently but it gets every scrap of make up off and can be used round the eyes without irritation. But its an eye watering £48 and considering it is fairly similar to the Ren No 1 Purity cleansing balm in texture but double the price I probably wouldn't repurchase. But I do love it. As always, I apply this balm to dry skin, massage in, rinse with water then remove properly with a wet flannel. My skin had a major dickie fit around February this year and I completely scrapped my entire skincare routine including this Estee Lauder Idealist serum which I was using in the morning before my moisturiser. This has been lying untouched in my every day make up box since then but when my hydraluron ran out I decided to replace it with this rather than opening something new. I loved Idealist when I first used it for its skin brightening properties and for the fact my skin felt like velvet after I used it. It is a yellow toned gel serum you apply before moisturiser. 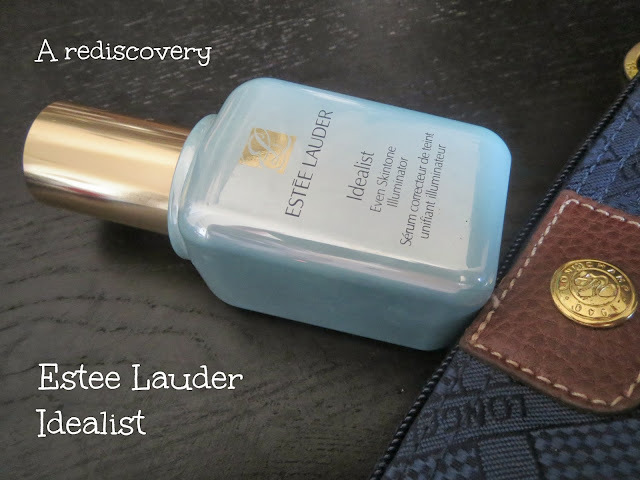 Estee Lauder state that it minimizes pores, evens skin tone and brightens. I agree with it evening out skin tone and brightening even if the effect is only temporary. It seems to reduce redness and almost give a soft focus to the skin. It is silicone based hence the velvety feeling but because silicone makes a decent base for anything else you put on top of it I find I need a lot less moisturiser. I hope I fall in love with it again! 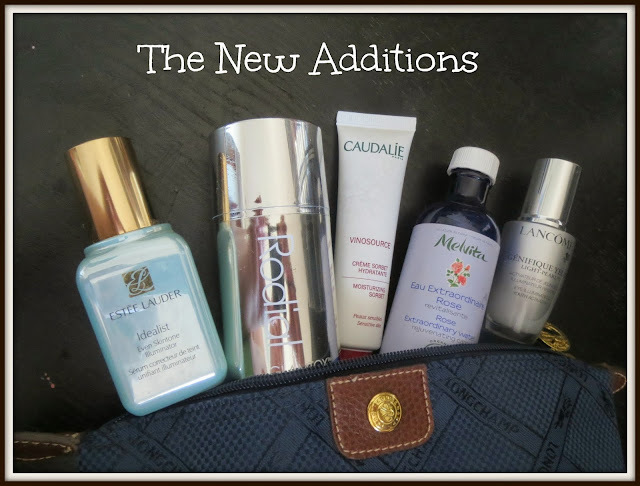 Do you use and love any of these products?